An ideal choice to keep behind the door, in the glove box, tucked in your rucksack, or under your desk. 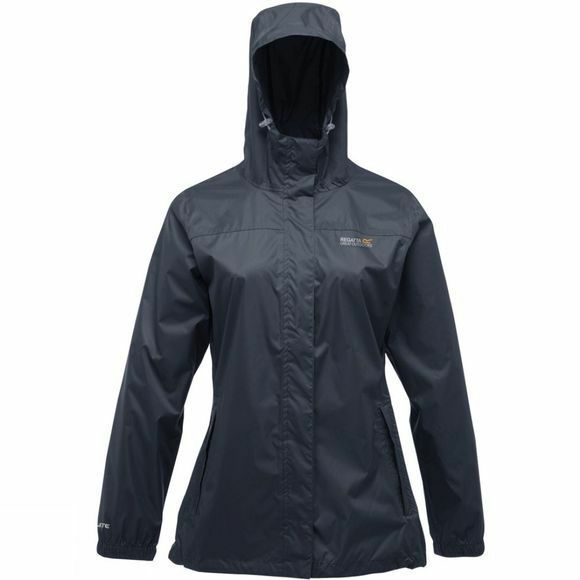 The Women's Pack-It Jacket II from Regatta, is a versatile and lightweight waterproof shell jacket with a 5,000mm hydrostatic head to keep you protected from the rain. The Isolite 5,000 nylon fabric ensures breathability, so when you slip it on during a shower you won't get too hot and sweaty in the process. An adjustable hood is integrated into the jacket, with a high collar to keep drafts at bay. The full-length zip has a stormflap with snap fastening to keep water outside the shell, while stretch-bound cuffs have been thoughtfully added for further protection.